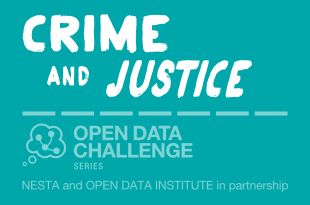 This Wednesday Nesta are hosting the Pitch and Celebration Event for the Open Data Institute’s first challenge series, which focused on Crime and Justice. I’ll be going down to see which of the three finalists have won the grand prize of ?40,000 and to hear a little more about the next two challenge areas: Education and Energy & The Environment. There have been a lot of unpublished datasets appearing on the government’s open data portal over the past couple of months. This is part of the response to Stephan Shakespeare’s review of Public Sector Information. In his review, Shakespeare recommended that the government identify what he referred to as National Core Reference Data. He defined this as being the high quality core data that the public sector maintains already and said that he would “expect to find the connective tissue of place and location, the administrative building blocks of registered legal entities, the details of land and property ownership” in this collection. I’ll be talking at this information event about the Open Data Challenge Series at Nesta? (the National Endowment for Science, Technology and the Arts) in a couple of weeks time on Wednesday 28th August. The?Open Data Challenge Series is the new name for what was called the Immersion Programme and is being run jointly by The Open Data Institute and Nesta . They are competitions that pose challenges in seven different areas?and explore how to use open data to address them. There is a grand prize of ?40,000-?50,000 for the winning project in each theme. The aim of the series is to help develop solutions that show they have potential to impact positively upon the challenge and also have a credible plan and market. ?I’m currently series lead for the first challenge, Crime and Justice, which I’ve previously blogged about on here. ?The other challenges soon to start up are themed around Energy & the Environment and Midata. The?Open Data Challenge Series offers a fantastic opportunity to get open data projects started or further developed, encourage further publication of open data and link developers with people in government. We’ve already had some successes in these areas. As well as the presentations there will be some facilitated discussions around each of the themes, an opportunity to hear from the Nesta and ODI teams and also to meet other people interested in the programme. Registration opens at 3.30pm with the event starting at 4pm followed by networking drinks after the finish at 6pm. British Sign Language interpreters have been booked for the session and, for anybody who isn’t able to attend,?we?ll be sharing media from it shortly afterwards. In preparation for the upcoming Creation and Innovation Weekend of the?Open Data Institute’s?first?Immersion Programme on Crime and Justice?I’ve been pulling together some links to relevant open data resources. data.gov.uk does a lot of the fine grained curation and linking already, of course and will often provide links to relevant datasets published by UK public sector organisations. Then, within the scope of our Crime and Justice Series, the following links may also be interesting.